Natural fiber rugs and carpeting are becoming quite the rage. Natural fibers you have to choose from include sea grass mats and carpet; sisal, bamboo, jute, cotton and hemp rugs; coir, wool, and silk carpet; and alpaca woven and fur or skin rugs. 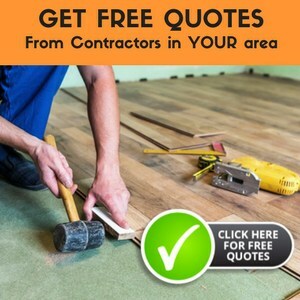 They provide interesting and beautiful options to your flooring needs — for adding to your decor, protecting your hardwood flooring, and softening the sounds in your home. Natural fiber has long been a flooring option, but it’s making a comeback with gusto. While the concerns for creating a more natural environment grow, so does the need to surround ourselves with materials that allow for a sustainable world. Natural fiber rugs and natural fiber carpeting allow us to feel good about what we’re putting our feet into. Flooring that includes a bamboo rug, jute rugs, wool carpet, cotton rug, or sea grass carpet not only looks distinctive, but it doesn’t use up resources that can’t be readily replaced. In order to product a commercial, synthetic carpet, man made materials are interwoven and glued together in a toxic mess of chemicals. And that’s not to mention the fact that synthetic floor coverings are also attached to the foundation with hundreds of carcinogenic compounds. Studies have shown that indoor pollution is even greater than outdoor pollution in many cases (three to five times higher). This is because the use and installation of carpeting and flooring often releases some toxins into the air. Carpeting also holds onto any chemicals that you may track in — fertilizer, pesticides, etc. So it’s quite correct to say that natural fiber carpets and natural fiber rugs will help improve the overall health and safety of your family. Because the fibers are not man made, those friends and family members who might be sensitive and have allergies will not be forced to sit indoors where the carpet is causing more harm than the grass outside the door. And you have numerous options when it comes to natural fiber area rugs: sea grass mats, sea grass mats, sisal rugs, coir rugs, a wool rug, silk rug, cotton rug, bamboo rug, jute rugs, and alpaca rugs. In some cases (though rare) you can also find hemp rugs. If you’re interested in more traditional flooring, then carpets are available as well: jute flooring, silk carpet, wool carpet, coir carpet, sisal carpet, and sea grass carpet. It’s amazing what manufacturers can do with natural raw materials. They are still woven together, but they do not use chemicals to enhance their appearance, as traditional carpeting does. Don’t worry; natural fiber area rugs and carpeting are very fashionable in the area of interior design. They create texture and a warm contrast to the sleek lines of a modern home. Combined with warm paint colors and a few candles — you have a comfortable setting for your family and guests. Natural fiber carpeting and rugs allow your family to breathe easier knowing that you’re not polluting the air in your house. You want to walk into your house and not be afraid that it’s hurting you, right? Then natural fiber flooring is for you. And the fact that you’re helping the environment as well, that’s just the icing on the cake. Consider natural fiber rugs or natural fiber carpeting to put the finishing touch on your home.